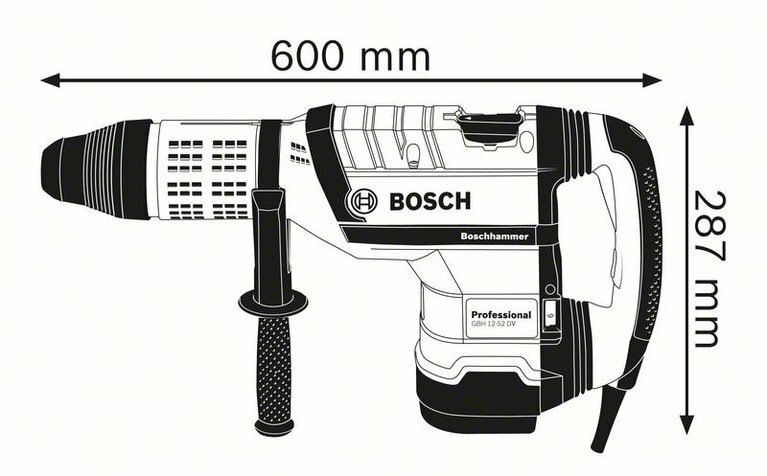 The A-rated noise level of the power tool is typically as follows: Sound pressure level 109 dB(A); Sound power level 98 dB(A). Uncertainty K= 3 dB. The GBH 12-52 DV in action!